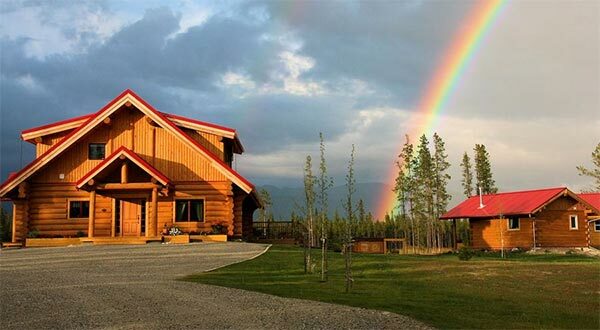 Perfectly situated within close proximity to many of Yukon’s most highly regarded wilderness parks and playgrounds, Northern Lights Resort & SPA is your starting point for an infinite number of possibilities for eco-fun and adventure in our remote country. We offer “All-Inclusive” vacation packages, customized to your needs and bed & breakfast accommodations with a minimum stay of two nights. Our rooms and chalets are modern and lovingly designed. We are located in a quiet comfortable setting where guests are asked to take off their shoes and make themselves at home. Located just 20 minutes south of Whitehorse, built from massive Douglas Fir by your German-Canadian hosts, this little piece of paradise is the Yukon’s newest get-away destination located in a quiet open countryside close to the Yukon River, surrounded by pine forests and ringed by mountains.